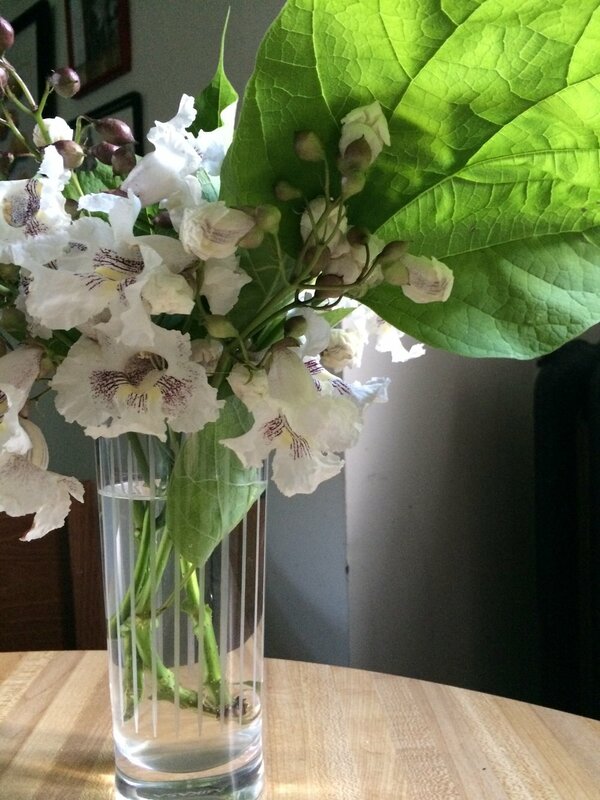 In front of our house is a giant, towering Catalpa tree with giant green leaves that blooms each spring, a delicate orchid-like flowers are fragrant and fall after a rain. The tree we are told, is around 60 years old and one of the reasons we purchased our home. 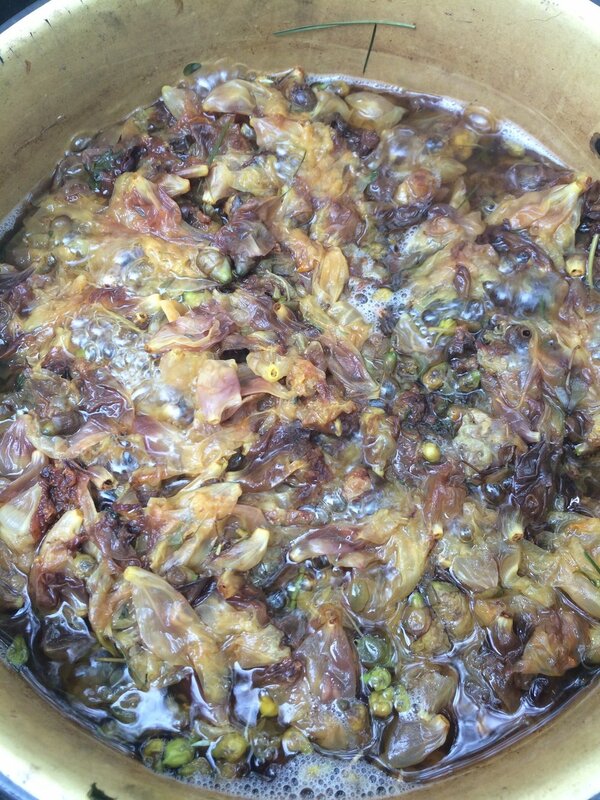 This year there was a bumper crop of flowers and of course, i had to try the flowers and leaves for dye! Here's the results.